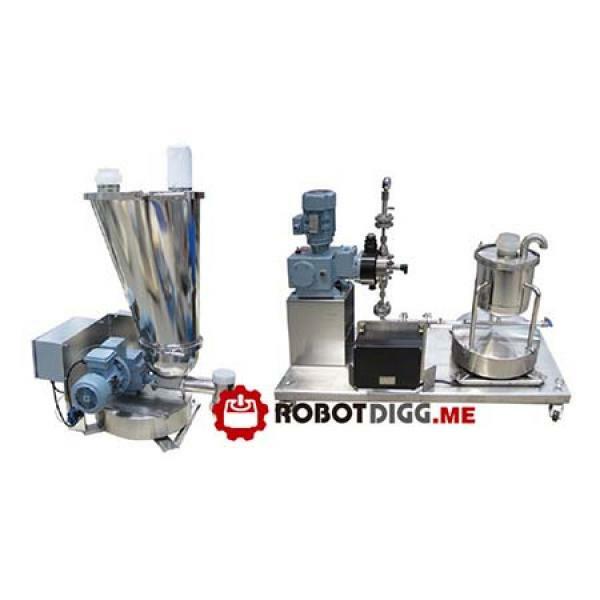 Loss in weight feeder provides users with double feedback and double closed loop control feeding technology, raises the performance level of feeding equipment surpassing other domestic feeders. The improvement has totally eliminated the hysteresis of the PLC. 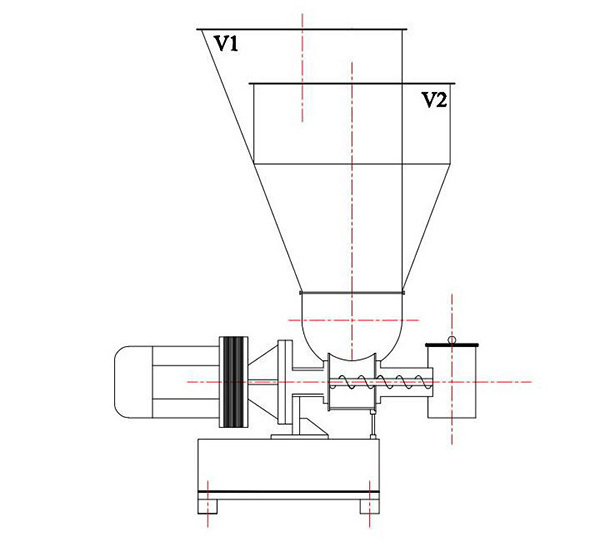 it increases speed of motor and improves the accuracy of feeder. It can be widely applied to chemical industry, plastics, cable, food, medicine, building materials, etc. 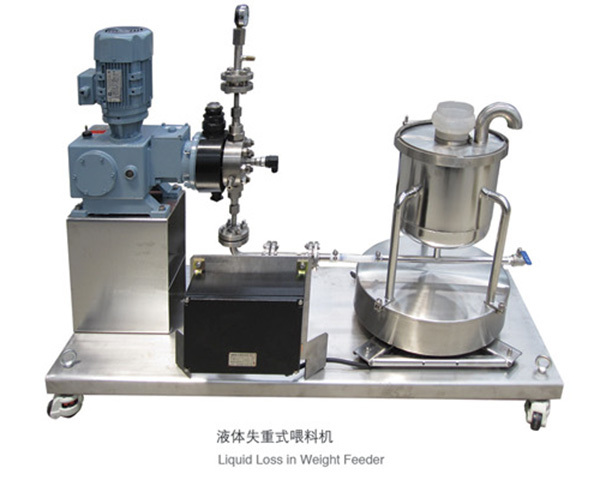 The loss-in-weight to the field of liquid feeding machine technology, especially relates to a liquid gravity feeding machine, including measuring barrel, measuring barrel fixed on the supporting frame, the supporting frame is fixed on said Taiwan, said Taiwan has a weight sensor, weight sensor controlled by the controller, even in general measuring bucket feed tube feeding, lower measuring barrel through the first metal corrugated pipe communicated with the manual ball valve, connecting the metal corrugated pipe and hydraulic pump input, output of the hydraulic pump is communicated with the discharge pipe, the hydraulic pump driven by a motor, the motor is connected with a rotating speed sensor, speed sensor by the controller, the invention is used for metering bucket for holding liquid materials, and through the hydraulic pump and motor to realize the transmission of liquid material, in addition, also called Taiwan set with weight sensor, by controlling the motor speed to control the liquid material conveying material.